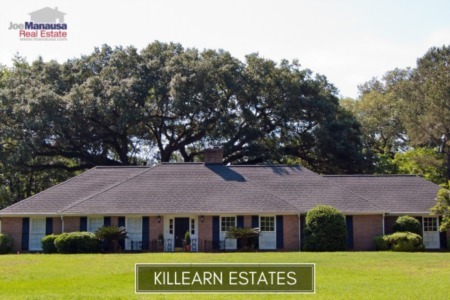 Northeast Tallahassee has many popular neighborhoods, and today we feature Piney Z that has homes with prices just a bit higher than Tallahassee's median home sales price. 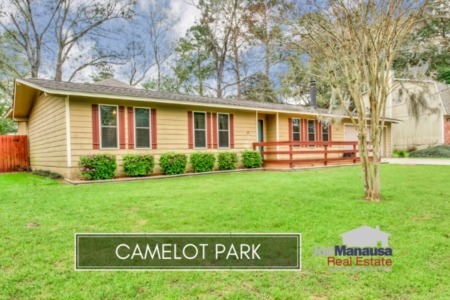 Currently, there are 20 homes for sale in Piney Z, and they range in price from $155,000 to $325,000. Piney Z home sales have been recovering nicely over the past year or so, and it is why this subdivision can usually be found among the top five or ten most active neighborhoods in Tallahassee. Our first real estate graph shows some good news for people who need to sell a house in Piney Z. The number of distressed home sales has dropped from a peak above 23% so a current level of just 5%. This means that just than one in every twenty home sales in Piney Z is either a short sale, a foreclosure, or a bank owned property. This number of distressed houses in the market are far lower than we've seen in recent years, so buyers are forced to deal with arms length home sellers for the inventory that is available. 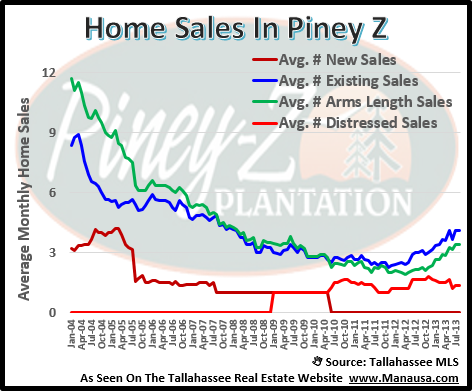 Our second graph shows that Piney Z home values have have already begun to turn for the better, just as we have seen in many of our other Northeast Tallahassee neighborhoods. The average value of an arms length house sale in Piney Z over the past year has been $112 per square foot, which is about 24% lower than values found at the peak of the market. The following is a list of recent Piney Z home sales, and we will update this list from time to time. You can bookmark this page to have immediate access to this list of sales. 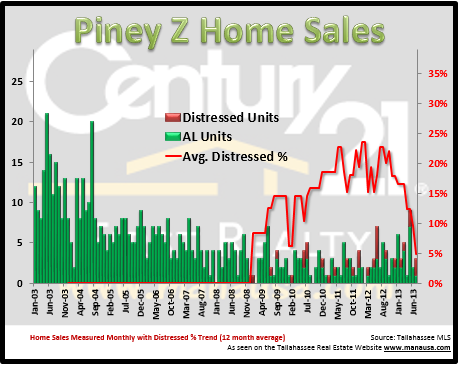 I hope you gained good information from our Piney Z home sales report, please check back again for more updates with charts, graphs, and analysis of Piney Z in Tallahassee, Florida.